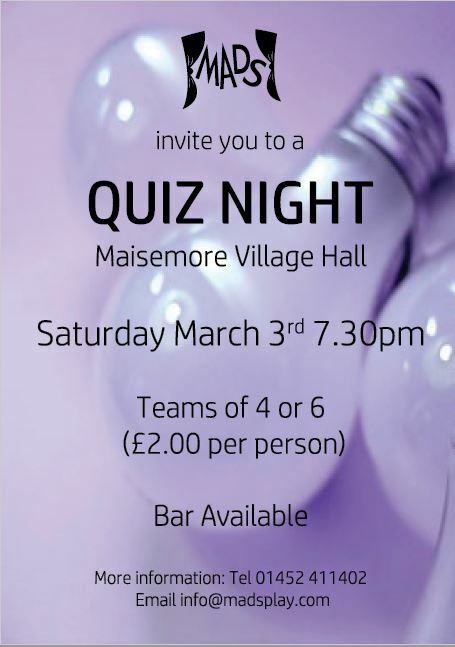 Maisemore Arts and Drama Society is holding a Quiz Night on Saturday 3rd March in Maisemore Village Hall. 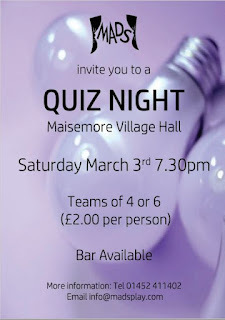 The event starts at 7.30pm and the teams will be 4 or 6 people. The cost is £2 per person and there will be a bar. For more information phone 01452 411402 or email info@madsplay.com. If you would like to display a poster, you can download it and print it from here.